Your financial health is crucial for maintaining a stable lifestyle. Not only does it reflect well on your personal profile but it is also critical in matters related to your bank and finances. Credit is the deciding factor when you apply for a loan, either for a home mortgage or a loan for your favorite car. 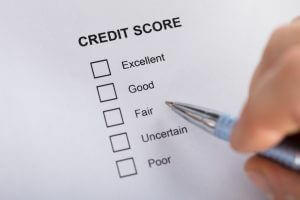 Credit scores can affect financial health and stability of an individual and, hence, keeping a constant check on this score can greatly influence one’s purchasing habits. Your credit score will determine if you qualify for lower interest and insurance rates or not. Therefore, if you are among those individuals who are actively seeking ways to get their credit score to rise, you will find 7 ways to do so below. The first and foremost step towards improving your credit score is to monitor it thoroughly and make it a habit. According to research, credit reports tend to have errors that can be harmful to your financial standing, thereby affecting the overall score. With the rise in identity theft and credit card frauds, it is likely that there may be inaccuracies in the report. Make sure to check for these and keep an eye on your credit score often. Another way of raising your credit score is through paying off debt. Even when partial debt is paid off, the credit score tends to go up. Hence, instead of having to move around these obligations, it is recommended that you reduce debt obligations as much as possible. Credit Utilization Ratio is a measure of one’s debt as a percentage of the total credit available. A lower ratio is usually preferred in order to improve the credit score significantly. Alternatively, an increase in a credit limit may be acquired if sufficient cash is not available in order to settle debt obligations. When the total credit limit is higher, the credit utilization ratio is likely to go down, ceteris paribus. However, an important point to note here is that if you have a poor credit history in the past, this limit increase request may not be entertained. It all comes down to how well you manage your shopping and spending habits! Payment history has a substantial impact on your credit score. The simplest approach to achieving a higher credit score is through prompt payments. Analogous to bookkeeping, an individual can keep a record of all of their debits and credits in order to track balances and arrears at the end of each month. Arrears may be settled once cash becomes available. In order to maintain a reasonable credit score, keeping all your new and old bank accounts open can be helpful. Each one of your accounts contributes to your credit history and closing either one will effectively lower your credit score. Moreover, if any one of the accounts becomes redundant, instead of having it canceled, it is better to keep it operational. Make sure to keep lower balances on your credit cards in an attempt to improve your credit score. Account balances should effectively be below 75 percent of the available credit. This must be ensured in order for it to reflect well on your credit score. This can be exercised by keeping a track of the balance on a month to month basis. A little more effort from your end can pay off in the long run. Lastly, a healthy credit score can be maintained if your buying habits are tweaked a little. For all of you shopaholics out there, keep your expenditures spread across various months in order to avoid draining your available credit limit. This is likely to ensure a balanced credit usage between months. Payments can be made as soon as the month ends, hence, improving your credit score each month. A viable balance of payments and credit usage can thus be achieved. Using these 7 easy tips, you can improve your credit score without having to worry about subsiding the urge to purchase your favorite items.